Hugo Vitrani traveled to New York to interview 5 artists for the Mediapart Site. The interview series was an idea to capture in depth ideas from contemporary artists and reflect upon the gaze of city bringing commentary about coming municipal elections in Nov 2013, and the 11 year reign of Michael Bloomberg. 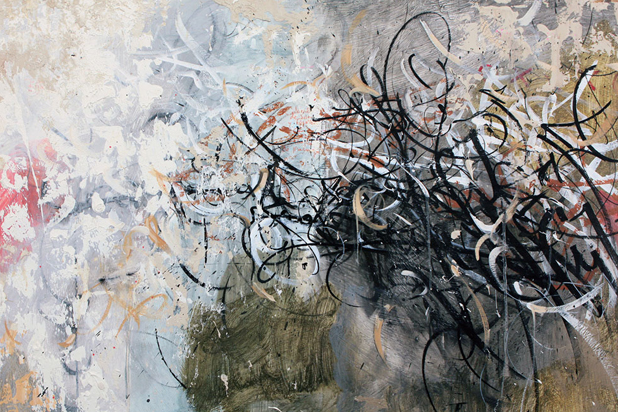 Jose Parla is featured in this video 4/5 in the series. Hugo conducts an impressive and in depth interview allowing the artists to delve into not only their work but also its identity and influence from the city. This is a must watch video for anyone interested not only in the work of Jose Parla but also the role of Graffiti art in contemporary art. Check out these other Interviews as part of the Series Earsnot, Michael DeLuccia, and Lucien Smith.